The Democratic National Convention isn't just for politicos and operatives to network and deal behind closed doors. In addition to being a pretty big media spectacle, a trip to the national convention is a coveted reward for grassroots volunteers and delegates alike. This year, the Clinton campaign has lined up several popular female celebrities to warm up the crowd. 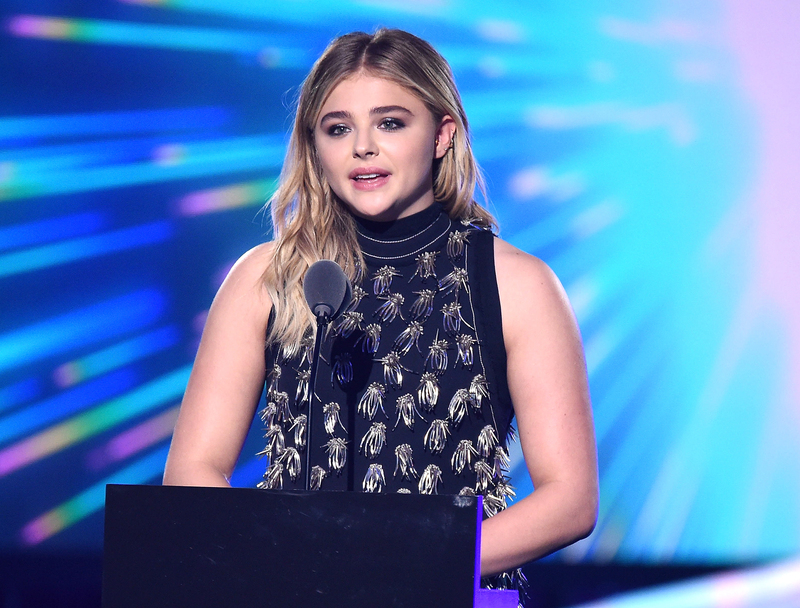 Is Chloe Grace Moretz at the DNC? The Hollywood star is one of several Clinton surrogates who will be in Philadelphia to speak to the former secretary of state's qualifications, and character. Her post has been liked over 454,000 times; however, there is a spirited debate occurring in the comments section, where as of press time, over 6,000 Instagram users have weighed in on Moretz's choice for president, with those opposing Clinton, and supporting candidates like Bernie Sanders, Jill Stein, Gary Johnson, and Donald Trump all got mentions. Some Twitter users were also a bit perplexed. Moretz may not seem like the most organic choice to speak to Clinton's record of public service to some, but choosing a diverse array of dynamic female celebrities is a play to try and capture the interest of the general electorate, most of which isn't particularly engaged during the primary process. Choosing younger women is also a deliberate play; now that millennials have caught up with the baby boomers in terms of their share of the voting public, expect to see all the campaigns continue to experiment with ways to reach as many millennials as possible. Remember Trump's visually arresting Instagram-based attack ads? Yeah, I tried to block those from my mind, too. Attempting to strike the right balance between substance and style is always a tricky line to walk when it comes to planning out these affairs. Selecting a diverse lineup of Hollywood surrogates to speak in Philadelphia on her behalf is a bet that Clinton's handpicked new team at the DNC hopes will result in positive media coverage, and increased support among the general public; something that the GOP nominee has been somewhat scarily adept at doing for himself. Time will tell.